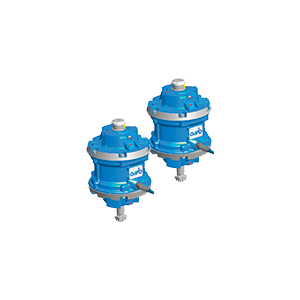 EVR – EVS vibrators have conical double flange fixing and are typically used on multistage circular screens of big dimensions. They are NOT provided with eccentric weights, NOR weights covers. They are supplied with 1,5 m feeding cable, and they can be fed with one tension only (it is not foreseen the double connection “star”/”delta”).